The 2K support page includes a helpful FAQ that outlines what modes and features will become unavailable after each date. Unsurprisingly, the ranked “Hunt” mode will be removed, as will player profiles, leaderboards, in-game purchases, the newsfeed, and player badges. I’ll have the dates added to the Watch List calendar and a page ready for the site soon. 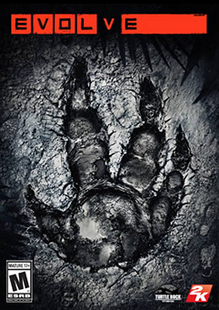 About the only good news I have to report on Evolve Stage 2 is that the game isn’t being delisted… yet. Posts from 2K and Turtle Rock Studios on October 25th have confirmed that future development of the game has stopped and that 2K will be maintaining its servers for “the foreseeable future”. Turtle Rock’s post by co-founder Chris Ashton is graceful and sentimental. He explains the decision straight away, stating that “this is the life of AAA game developers who aren’t self-funded and don’t own their own IP. We don’t get to make the call. We all know that going in but we still sign the dotted line because we love what we do. We are happy to have gotten the opportunity to do something risky, something new and innovative.” Fortunately this isn’t the end for Turtle Rock as they are moving on to new, as yet unannounced projects. 2K’s post is much more straightforward with a quick FAQ and confirmation that — while active development has stopped — Evolve’s servers and online functionality will be maintained, for a time. It’s on the Watch List for now but if you’ve ever been interested in the game you may want to check it out soon. 2K is becoming one of the most prolific delisters and I wouldn’t be surprised if “the foreseeable future” quickly becomes a solid date in 2017.